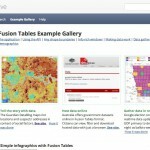 CartoDB- online tool for visualizing data on a map. GeoCommons- A public community and set of tools to access, visualize and analyze data with compelling map visualizations. Kartograph.org- Kartograph is a simple and lightweight framework for building interactive map applications without Google Maps or any other mapping service. It was created with the needs of designers and data journalists in mind. Modest Maps | Home- Modest Maps is a small, extensible, and free library for designers and developers who want to use interactive maps in their own projects. It provides a core set of features in a tight, clean package with plenty of hooks for additional functionality. Natural Earth- public domain map dataset available at 1:10m, 1:50m, and 1:110 million scales. Welcome! - WorldMap- low barrier open source platform to explore, visualize, edit, collaborate with, and publish geospatial information. Social Explorer- Explore 220 years of demographic data with over 20,000 socio-economic indicators between 1790 and the present. Includes all decennial censuses, American Community Surveys, and two religion surveys.